Product contains peanuts, wheat, cashews, almonds, pecans, and soy. Produced in a facility that also processes milk, egg, and other tree nuts (coconut, walnuts). 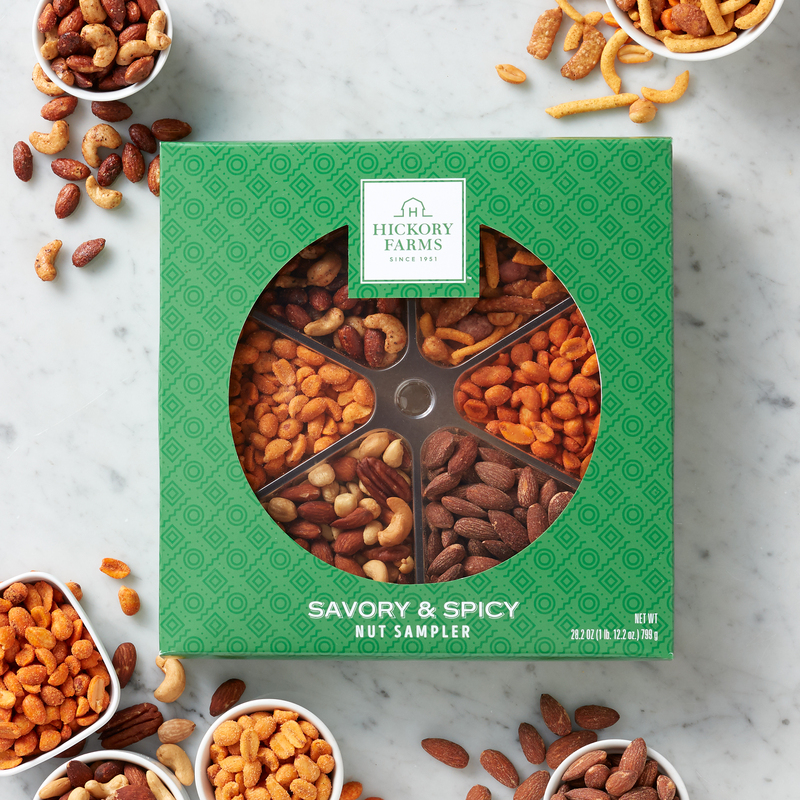 Adventurous snackers will love this collection of nuts with big, bold flavor. It includes BBQ Peanuts, Buffalo Hot Peanuts, Everything Seasoned Mixed Nuts, Honey Sriracha Almonds, Sweet 'N Spicy Snack Mix, and traditional mixed nuts. This savory collection would make a great gift for anyone who likes their snacks with a little heat.